The Ray-Ban collection for this season calls for a large dose of style. There is a wide variety of colors to choose from, but a perennial favorite is this mix of Blue frames and Blue lenses. 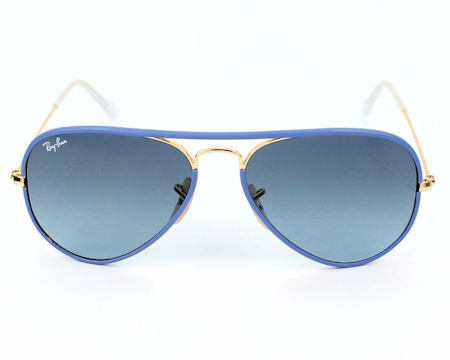 Made from the best quality Metal frames and Crystal lenses, these Ray-Ban RB3025JM Aviator Full Color sunglasses are perfect to complete any look! 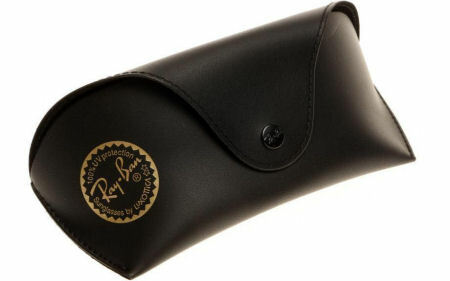 This pair of Ray-Ban sunglasses include cleaning cloth, original paperwork, and original case and box.